Prevent bad hair days forever with these simple tips! If hair is our crowning glory, then there’s simply no time for bad hair days. Yet everyone experiences them from time to time. These bad hair day solutions can help you turn that frown upside down. Why do I have bad hair days? 1. 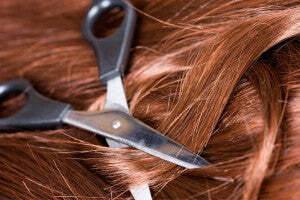 Hair needs cutting: The need for a haircut leads to split ends and damage. It also causes hair to not style as easily, and to have little texture or shape. Aim for getting a trim every 6-8 weeks. 2. 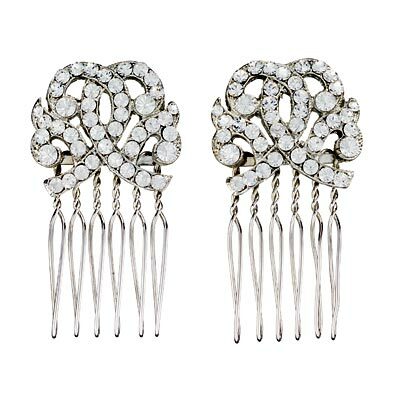 Weather: Humid weather conditions like rain and snow can cause hair to instantly become frizzy, puffy, and unruly. Use an umbrella, wear a hat, or keep a scarf handy at all times in case of a hair emergency. 3. Sweat: Sweat from strenuous activity or heat causes hair to lose its style and feel dirty. Keeping hair pinned or tied back can help a lot to keep sweat away from your face. You can also try wearing a sweatband when working out to protect your strands. 4. Dirt and oil: Dirty or oily hair can create a bad hair day for anyone. It can make hair look and feel stiff and rigid, and that makes it hard to style. We recommend shampooing with a sulfate-free cleanser, like Be Gentle, Be Kind, according to your shampooing regimen. 5. Using the wrong products: Using the wrong hair care products—like those not made for your specific hair type—can make your hairstyle less than perfect. The wrong ingredients can weigh hair down and make it look unclean. There are plenty of ways to prevent bad hair days. Follow these simple tips and ideas to love your hair all the time! Make sure you thoroughly wash your hair to get rid of dirt and oil – and so that your hair can optimally absorb your conditioner. Deep condition your hair at least twice a month. Try using a hair mask such as Don't Despair, Repair. Don’t overuse styling products. It’s always easier to add more, rather than trying to remove product from hair before styling. Also, make sure you read instruction labels on your styling products to ensure you’re using them the right way. Make sure to rid brushing, combs, and hot styling tools of hair and product build up to keep hair shiny and clean. Blow dry your hair starting at your roots first and then point the dryer away from the direction you want to style to avoid frizz. Set your style by blasting the cold air setting at the end of your blow dry to close the cuticle for a smooth finish. Get your hair cut to work best with your hair texture and type. Make sure you have enough time for styling. There’s nothing worse than feeling rushed when it comes to your hair. Sleep on a silk or satin pillowcase at night to avoid messing up your style. Wear your hair in a ponytail or bun. It’s a fast and easy solution. When done right they can look elegant and stylish. Wear a headband or add some cute bows, flowers, or ribbons to draw attention away from your hair. Even a cute hat or scarf can be a great way to disguise not-so-great hair. Add some gel or serum to banish the appearance of frizz. A cute side braid or a few little braids added to a quick updo or ponytail will make you look instantly put together. Add some curls to liven up flat hair. Everyone falls victim to a bad hair day every now and then. With the help of these tips and tricks you can now turn a hair disaster into a put-together, stylish look. What are some tricks you use to prevent bad hair days?